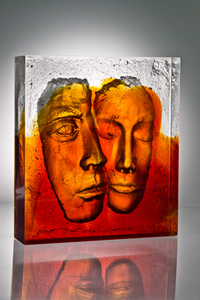 The heads are cast using the lost wax technique or open cast. 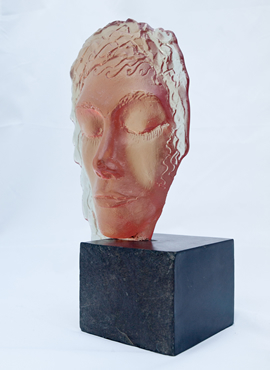 I create a clay sculpture and from this a master mould which I use to create a wax replica. I encase the wax in an investment mould. When dry, I steam the wax from the mould and add the glass for kiln firing. 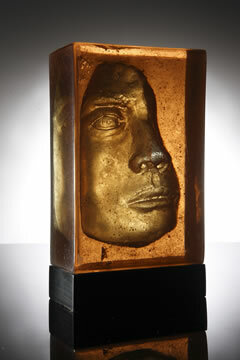 The investment mould is destroyed and glass released for cleaning/polishing before mounting.